The best times of the summer holidays children are surely the seaside holidays. Why should we deny this desire? 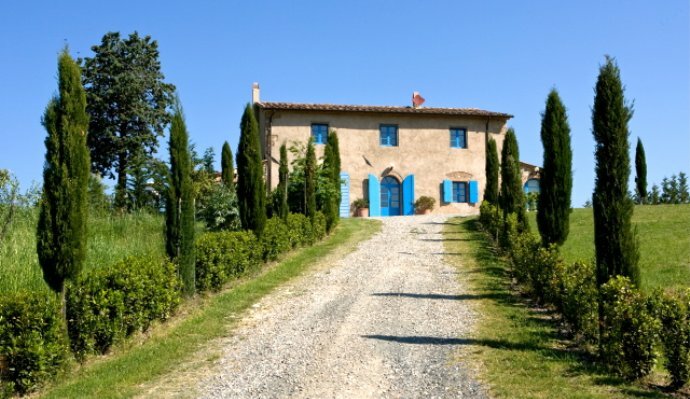 Tuscany offers many type of housing, villas with swimming pool, the B & B, serviced apartments and spectacular villas and cottages near the Tuscan coast. The villas are rented for periods less than a week, usually rents are made from Saturday to Saturday, in the cases trenne concordaati directly with the agency. Staying in a villa with swimming pool for the exclusive use and private outdoor spaces for outdoor dining is a holiday in Tuscany solution chosen by more people. Initially they were foreigners who favored this solution of vacation to enjoy in the privacy of silence and stillness that the Tuscan countryside offers. Today the trend is to rent a beach cottage to spend the holidays together with our closest friends. Groups of friends young and old gather in the summer to share spaces and emotions. While staying at the villa shares the pride of the kitchen, the barbeque in the garden by the pool and at the same time we can spend pleasant days on the beach with our children. The area most suitable to match the sea and the beauty and variety of the Tuscan countryside is certainly the area of ​​Val di Cecina. Near the small towns of Montecatini, Pomarance and you can find an economical solution with excellent value for money. the villages of Val di Cecina is located about 30 km from the beaches, reachable by car in about 35/40′, farmhouses and cottages are family run restaurant with a pool and some with cheap and wholesome food. Pomarance is located about 20 km from Volterra and evenings in July and August, at least once a week provides a lovely open air market with a chance to dine on local produce along the streets of the village. The evenings begin on 06.24.2011 for the feast of St. John and ending in mid-September after the history of the Palio Contrada. During the evenings in July and August plants are organized for children with little show of street artists. Moving towards the sea you can stay in one of the many villas in the countryside near Bolgheri, Castagneto Carducci and Cecina. The villas for rent are located approximately a10-20 km from the beach and can accommodate from 8 to 40 people. You can choose from luxury villas and country houses comfortable, however, are all equipped with indoor pool and outdoor area. We recommend our customers to make reservations well in advance, because it is often impossible to find availability as early as February or March.